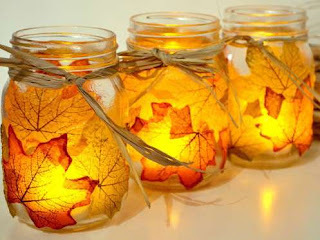 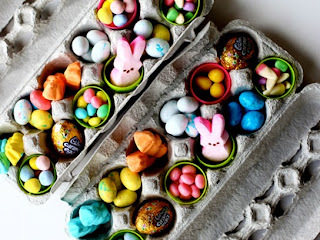 Fun, Unique Ways to Craft with Fall Leaves ~ Cheap ideas to decorate your home for fall.....just take a walk, gather some leaves and use your imagination OR try some or all of these cute, cute ideas! Autumn Leaf Candle Holder ~Allow the warm colors of autumn leaves to shine throughout your home with these easy DIY candle holders. 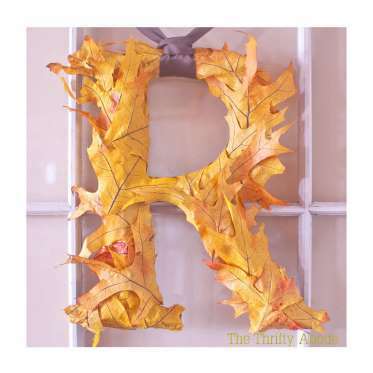 Foliage Letter ~Use strong spray adhesive and artificial leaves to give a large initial a seasonal update—a great alternative to a wreath! 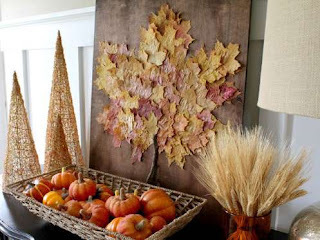 Oversize Leaf Artwork ~A simply gorgeous way to show off colorful leaves, this project is a stunning centerpiece for your fall mantel. 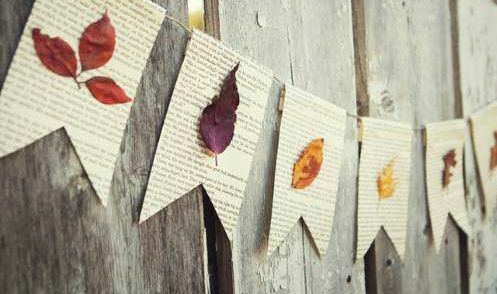 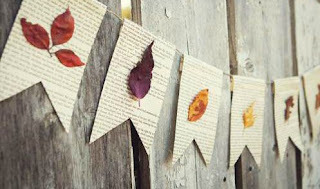 Book + Leaf Garland ~Adhere pressed leaves to pennant-shaped pages of an old book to create this gorgeous display. 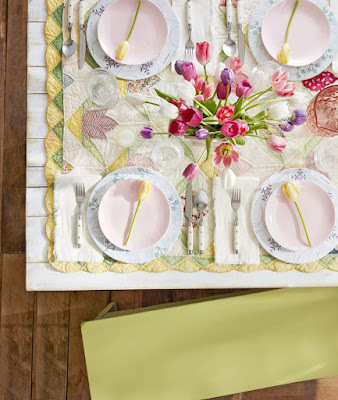 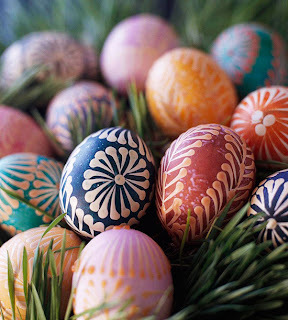 Instant Wall Art ~Instead of framing pressed foliage, simply adhere it to card stock with spray mount. 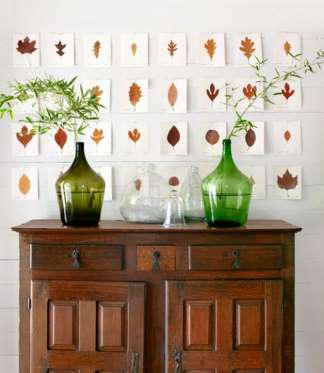 Then, tack the naturally good-looking pinups into place. 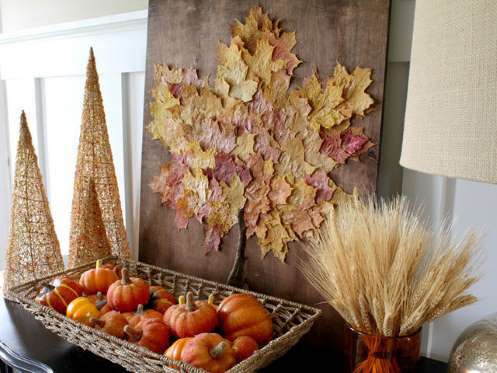 Colorful Fall Bowl ~Though the bloggers at Hello! 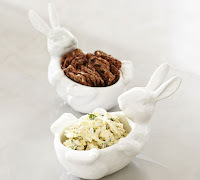 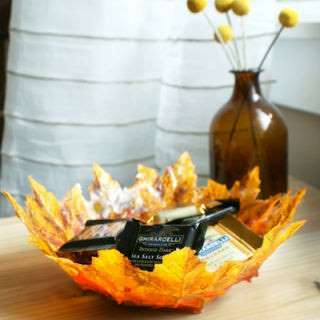 Lucky used a faux leaf garland to craft this bowl, you can also try it out with backyard foliage, too. 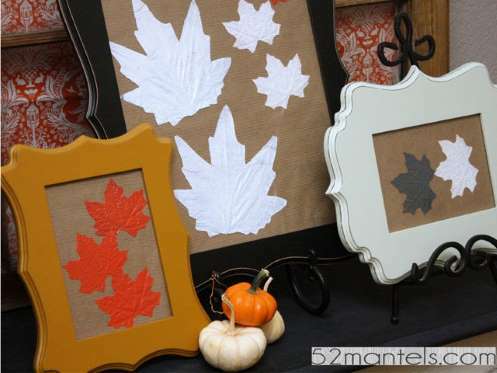 Framed Fall Leaf Art ~Mount spray-painted leaves onto butcher paper to add a fall touch to basic picture frames. 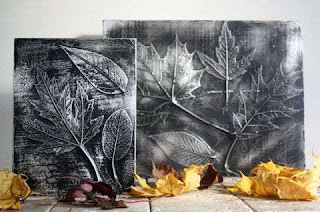 Autumn Art ~Aluminum foil, soft steel wool, and black matte spray paint are the keys to this DIY art.